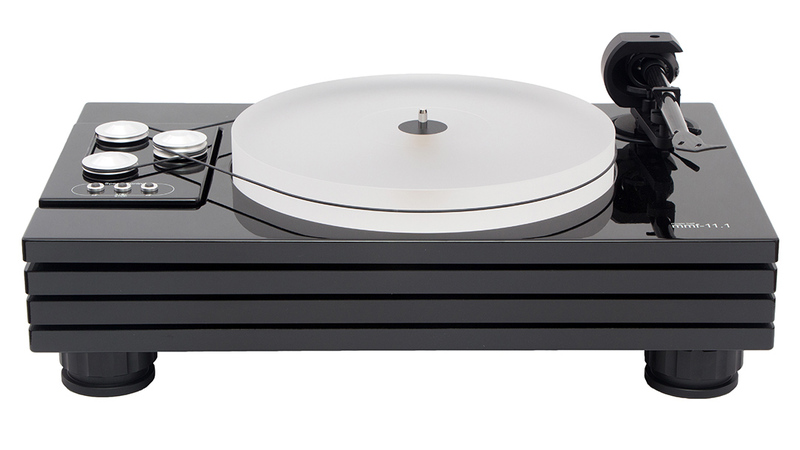 The Music Hall 11.1 2 speed, belt driven turntable measures 21.3" x 13.8" x 7.8" (WxDxH) and it weighs in at 40 pounds. It is constructed with quadruple stacked Piano Black MDF plinths. 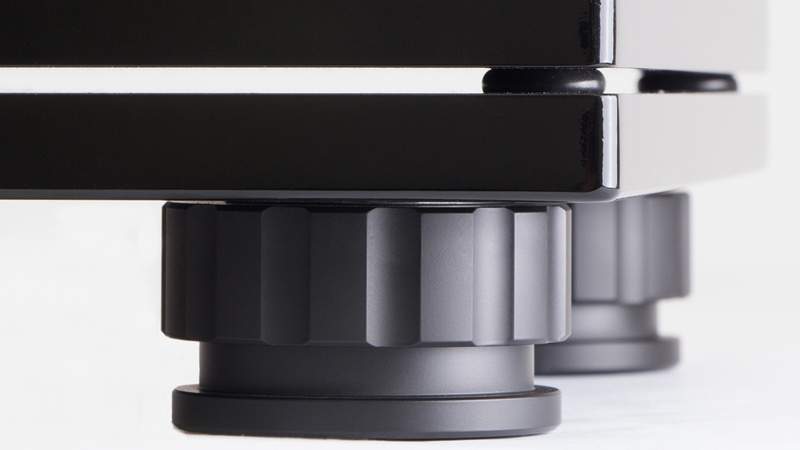 Each of the four plinths is separated by compliant disks made of shock absorbing Sorbothane. All of this is supported by adjustable, magnetic levitating feet. 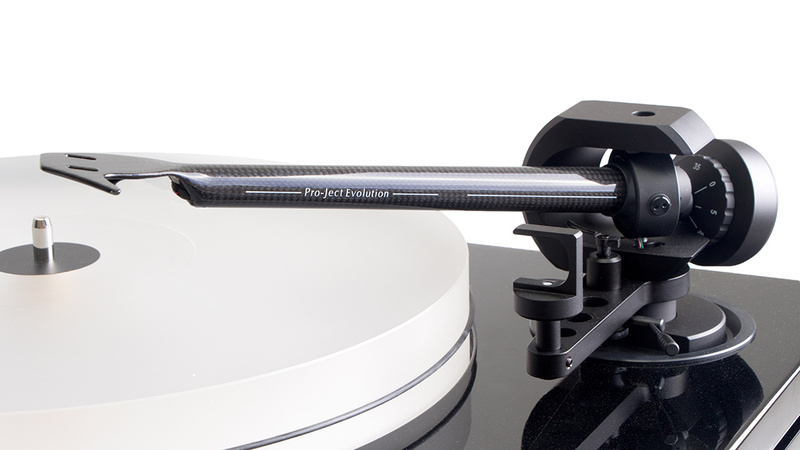 The tonearm, like the turntable, are made in the Czech Republic by Pro-ject. During the time Roy Hall was at the Litovel factory he specified their top-of-the-line '9cc Evolution' Carbon Fiber tone arm. The 9" arm is in one piece with a non-removable head shell. 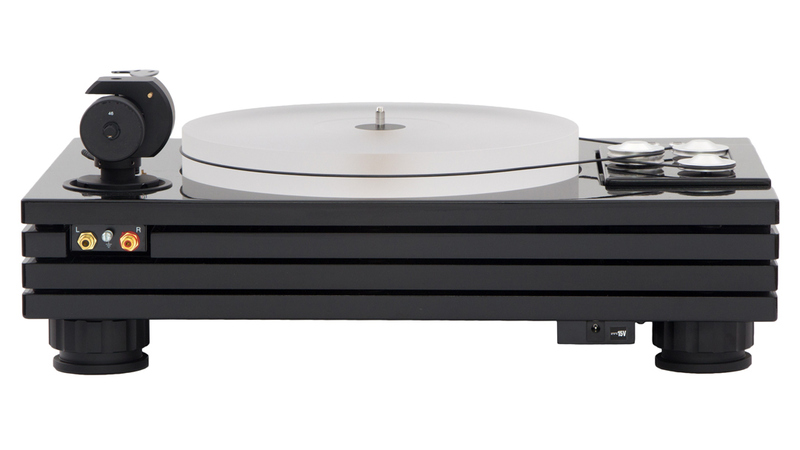 The Pro-ject 9cc arm pivots use high-quality Swiss ABEC-7 bearings. "Undoubtedly the MMF-11.1 is the complete package and well worth the money. I can't find anything that would limit the performance of the very best cartridge or of the best recordings. And for that matter anything at all that might detract from the vinyl state of the art. " Click the button below to add the Music Hall 11.1 to your wish list.